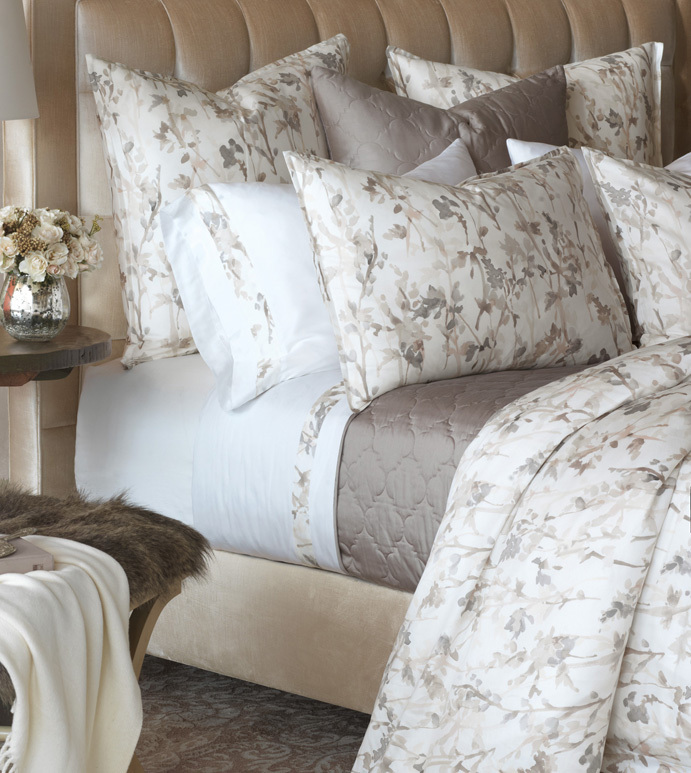 Delicately Philomena takes a contemporary approach to traditional fine linens. The beautiful watercolor style print is brought to life in soft shades of blush and gray for a bold, designer look. With its fashion-forward design, this collection will be a stunning centerpiece of your decor. Add touches of texture with our Viola coverlet or a Studio 773 throw to complete the look. Complete the look with the Milan Tufted bed upholstered with Lucerne Taupe fabric.